Baader Planetarium's 4-in-1 2" Clamping Eyepiece Holder # 2458190 is an excellent after-market replacement visual back for telescopes with M56 female or M60 / M68 male threads (this is not meant to be used with SCT telescopes; they don't have these threads). Many refractor telescopes sold today by Celestron, Sky-Watcher, Synta, Vixen, etc. 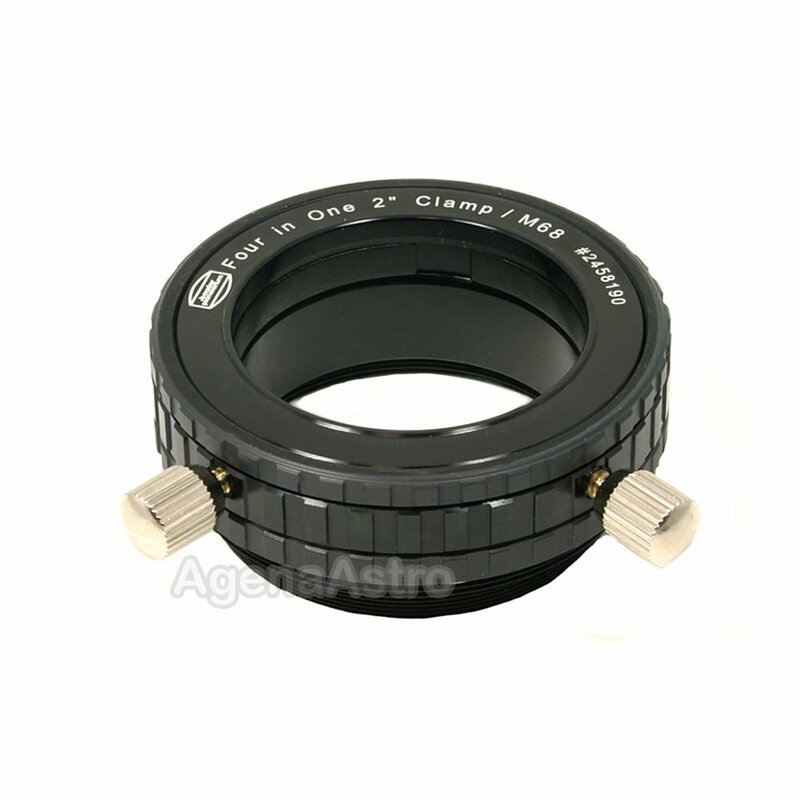 have only one, and in some cases, two, small thumbscrews in the focuser tube to clamp on to your valuable diagonal, eyepieces, and other accessories. For these telescopes, Baader offers this premium 2" visual back. With an anti-marring compression ring and two large thumbscrews, your accessories will be firmly and precisely held by this adapter. Also includes one 2" plastic dust plug. Can be used as a visual back for Zeiss (M68), Astro-Physics (2.7"), Vixen (M60), and Celestron / Skywatcher / Synta / Orion (M56) telescopes. Also features an M68 male thread on the eyepiece side which can be used for eyepiece projection or attachment of other M68 adapters/accessories.